Megan Racing OE-RS series cat backs are based on factory style, with bigger piping, OEM style polished mufflers and quiet sound. The cat back system is made stainless steel. All pipiing are mandrel bent with a high polished finish. 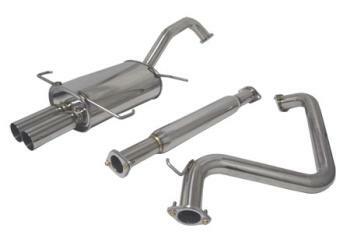 Exhaust system comes with all the necessary hardware needed for a direct bolt on installation. Improves HP with minimal noise.